This SOUL-utions for Relationships Retreat (For a couple or individual) is the perfect blend of working on yourself and your relationships simultaneously. We have found that relationship with oneself is foundational to relationships with others. When we have self-mastery, all other areas of our lives improve. When we have self-mastery and relationship tools and skills, life and love become easeful instead of stressful. Here is a sample itinerary to give you the skills, tools and the experience you need to take huge steps in the right direction. Arrive and get settled, enjoy exploring Maui. Depending on what time you arrive, we could move your Orientation to this day. In this session you will help you make sense of the human spirit and the ego mind. You will be provided with tools for accessing your authentic essence, inner wisdom and sense of self-esteem. Self-esteem diminishes over time such that by the time we are young adults many of us are essentially crippled by our negative self-talk, lack of confidence and suffering from the unconscious manipulative behaviors that ensue. This session will deepen your understanding and compassion for the human experience, provide a clear understanding of the ego’s misguided attempts to protect you and teach you how to turn your self-esteem around. This session will deepen your understanding of yourself, and anyone else you are in relationship with. This will begin-or strengthen- the journey of self-love and authenticity, which is the first ingredient to a harmonious, sustainable relationships. The Six Essential Life Skills should be a part of everyone’s personal practice for accessing wisdom, making decisions and aligning our behavior with our goals. Whether applied to relationships, work or simply one’s personal well-being, mastering these essential skills allow you to master yourself. All six are immediately applicable and once mastered, take place in the course of ONE BREATH. Self-esteem is the foundation of all relationships. In this session you will explore your current state of esteem and assess which areas to focus on. Self-esteem is not something you seek outside of yourself, it is simply a matter of learning to reinterpret and retrain the self-talk of the ego mind. Take a deep look at where you are now, and where you want to be. This session will give you an opportunity to privately explore where you are personally and set you on the path of healing. 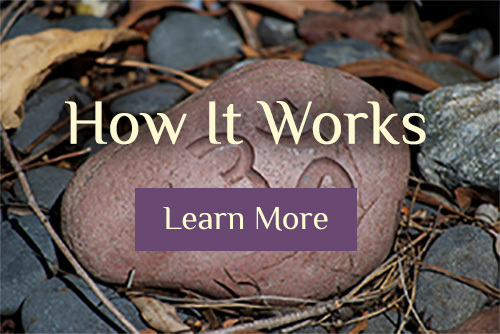 Emotional Freedom is achieved through combined gifts and modalities of intuitive guidance, wisdom and Emotional Freedom Technique, NLP, and a myriad more. Your practitioner will help you rewire the way you think and what you attract. Adopt new ways of thinking, seeing yourself, your relationship and become masterful at co-creating your life. Time for an early morning beach walk at Baldwin Beach park, a hike in Makawao forest or walking the labyrinth. 10:00-1:00 Creating Healthy Relationships: The Ego Dance for both of you. Much to our dismay, relationships often turn out to be ego battle ships instead of an authentic expression of love.In this session you will learn what none of us are taught about relationships (but should be!). I call this content “common sense uncommonly known,” as once you understand it, it makes perfect sense. But, until you know about it you cannot make sense of what is going on. In this session, you will learn to manage “the invisible space” in relationships—the choices of the ego and the automatic reaction it causes. You will also learn how to shift your locus of control from the ego to your Spirit (the source of SOUL-utions). The information shared will deepen your insight into your own behavior and your partners and instill you with greater compassion and understanding. These new perspectives and skills will serve you in all of your relationships…with each other, with others, with yourself, coworkers, friends, children…… universally applicable. We can add massages in here if you would like. Morning time to sleep in or explore…. A deepening of the Ego Dance, offering additional powerful relationship skills for transforming your relationship-and your life-into one of true joy, love and satisfaction. In this session you will learn the powerful secrets of The Eros Equation and discover your power for creating healthy relationships with yourself and others. The EROS equation offers both practical understanding of what goes wrong in a relationship and immediate application of how to repair it. Anger is a challenging part of every relationship, but when lacking in understanding, can also be its downfall. This session will deepen your understanding of the emotions underlying anger, and how to transcend the ego to realign your words, thoughts and actions with the harmonious relationships that you are trying to create. While anger and fear plague us all, can destroy relationships or stop them from happening, You will learn how to reframe anger and fear, embrace them and learn to see them as the guideposts to what you treasure. In this session you will learn how to disempower events and empower your ability to respond to events. Once you have a complete understanding of how to do this, we will have you walk through a timeline of your life discovering the blessings, lessons, gifts and value of the events of your life. You will also be empowered to boldly step into your future fully equipped to respond, rather than react, to the events of your life. In the integration session the practitioner will assist you in connecting the dots between all of your sessions to ensure you have a deep understanding of your experience, a practice, skills and tools for taking powerful and positive next steps on your journey through life. The process of change will be explained so that you deeply understand how to step back onto your chosen path when you have seemingly fallen (or been pushed) off. You will depart fully empowered to implement the experiences, insights and lessons from your retreat into your everyday life. The integration session is designed to assist you in pulling all the pieces of your retreat together and ensuring that you have a clear practice for maintaining your strength and balance when you get home. Depart renewed, refreshed and ready to move forward in creating a healthier relationship. 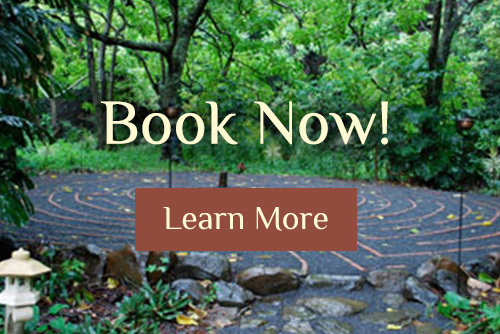 The price for this retreat is $4495 for two people for two people including all private sessions, Virtual Retreat Video Home Study Series, Six nights of private accommodations and follow up session. (This is dependent on accommodation availability so please note that pricing may vary depending on available accommodations). 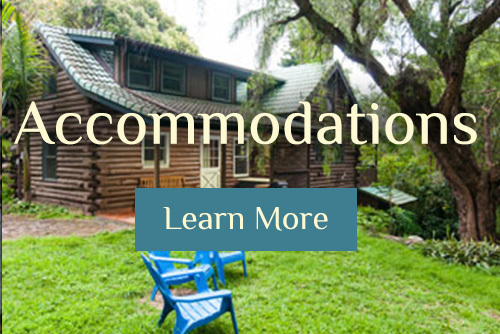 For one person, this retreat prices at to $3944 plus tax (inclusive of accommodations, and sessions). Meals and transportation are not included, however they can be by special arrangement. PRICING WILL VARY if you add or subtract days or sessions, so please know prices are just a guideline. Please note that exact times and schedules may be altered due to practitioner availability during the timeline of your visit. Sessions can be substituted, removed or added on. Only have 2 days? Experience our weekend couple’s getaway!